Very pretty card. Lovely paper piecing. 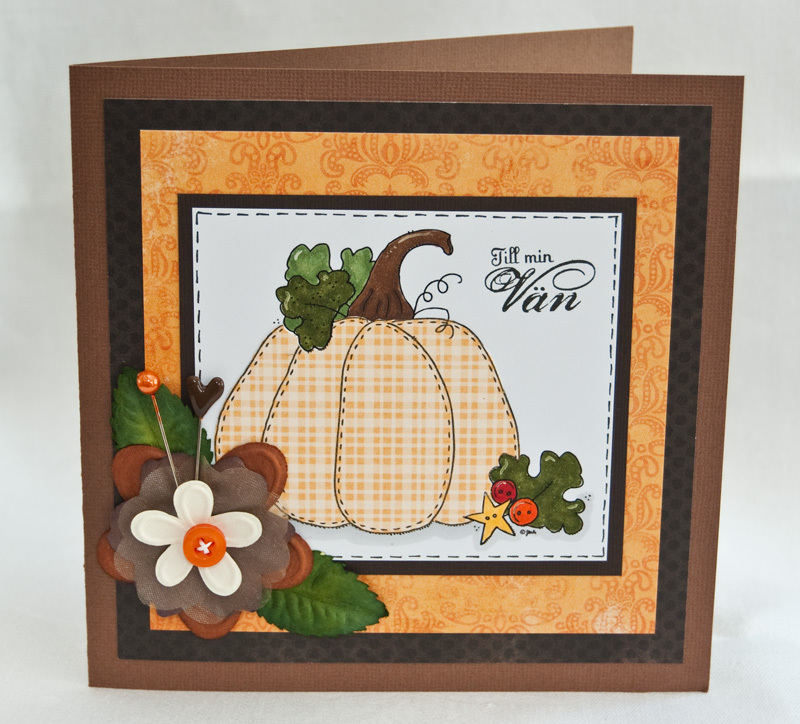 Thanks for playing with Stitched Pumpkin in our freebie challenge at Designed2Delight. Keep coming back to play!! Love the gingham pieced pumpkin, looks adorable! Glad you joined us at D2D this week. Hope you'll play along again next week. Underbart kort i en underbar blogg! Jag älskar dina skapelser! Amen superhärligt kort!!!! Höstigt o härliga färger!